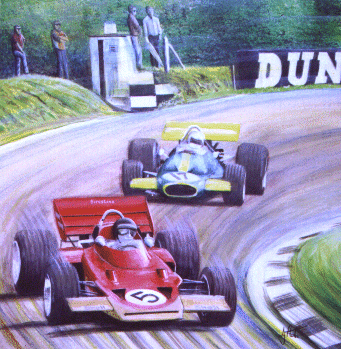 Jacky Ickx Ferrari 312B leads Pedro Rodriguez in the BRM P160 in the 1971 Dutch Grand Prix at Zandvoort. 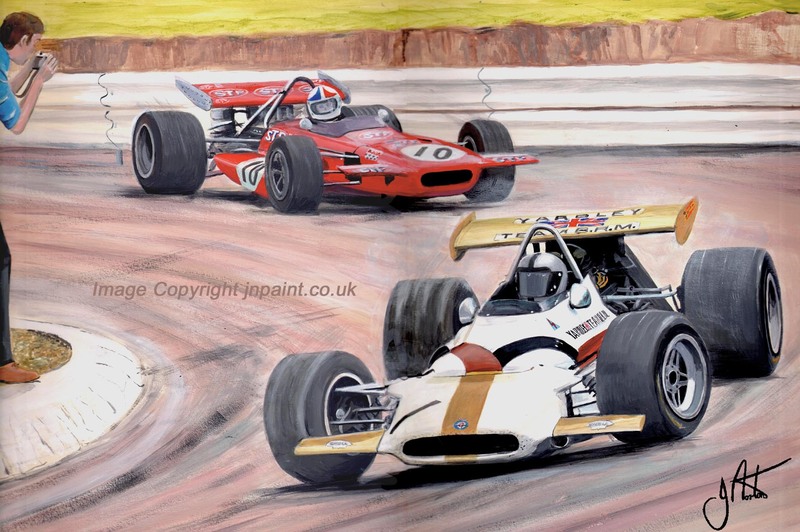 The original painting was sold before I acquired the ability to produce prints. 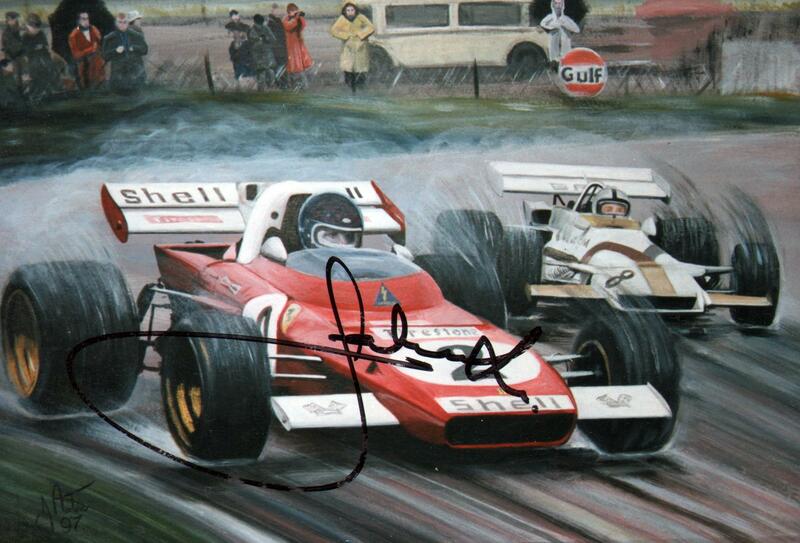 Jacky Ickx was good enough to sign my only photo of the painting! 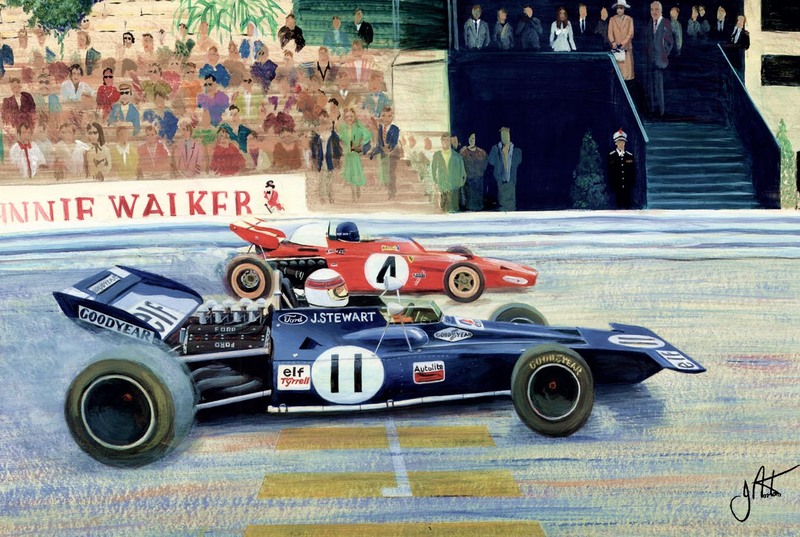 Jackie Stewart's Tyrrell 001 leads Jacky Ickx off the line at the start of the 1971 Monaco Grand Prix . 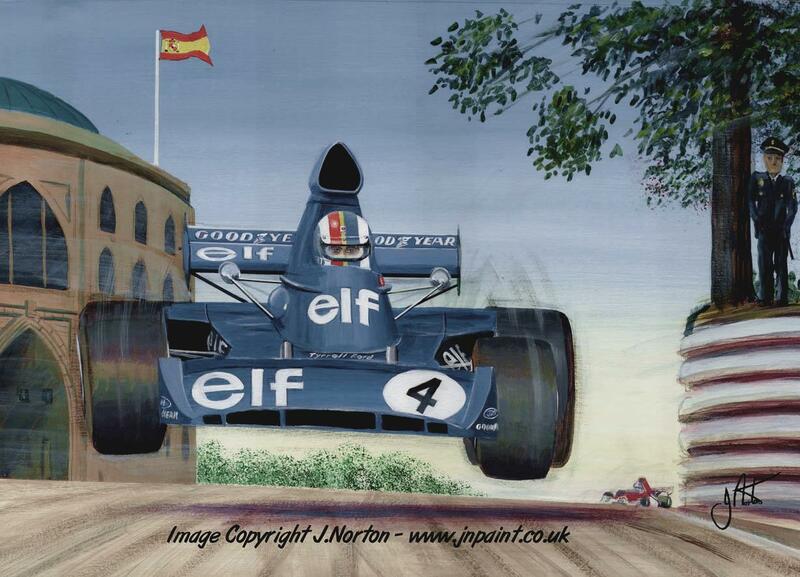 Francoise Cevert crests the hill at Montjuich Park during the 1973 Spanish Grand Prix. 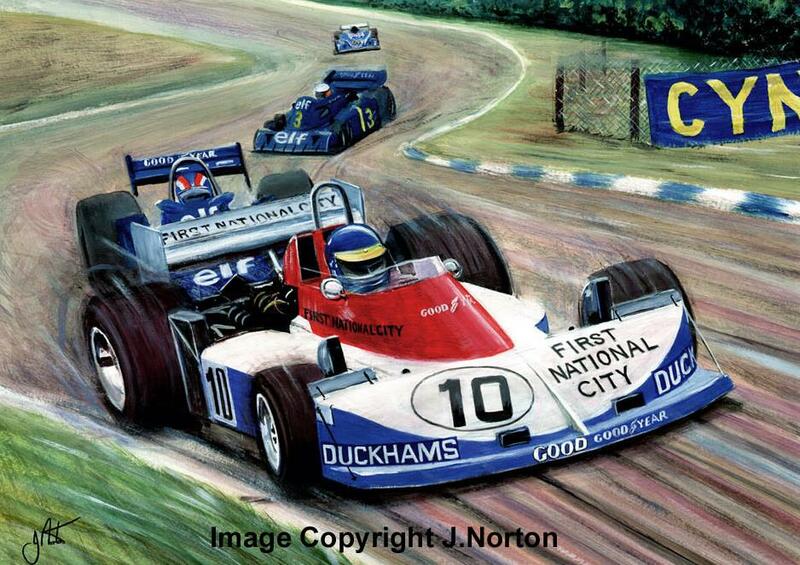 Ronnie Peterson leads the Italian Grand Prix at Monza in 1976 in his March 761. The original painting is available at £120.00. 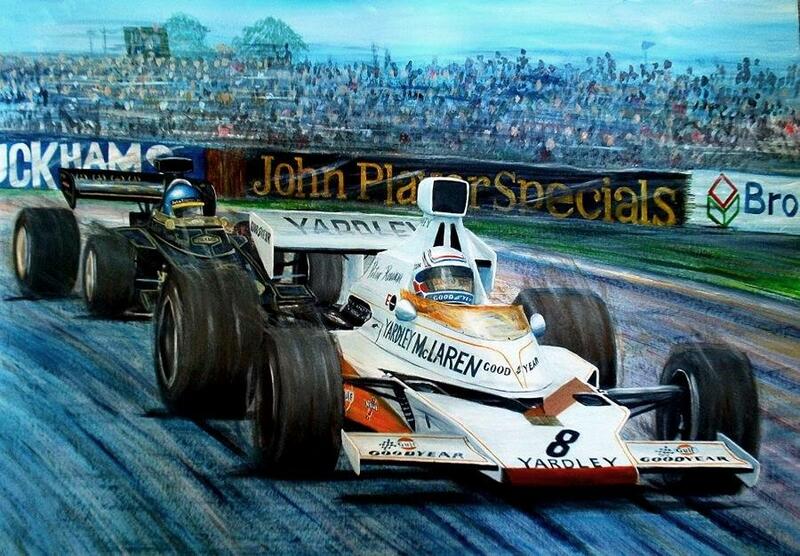 Peter Revson in the McLaren M23B leads Ronnie Peterson in the 1973 British Grand Prix. The original painting is available at £180,00 + carriage. 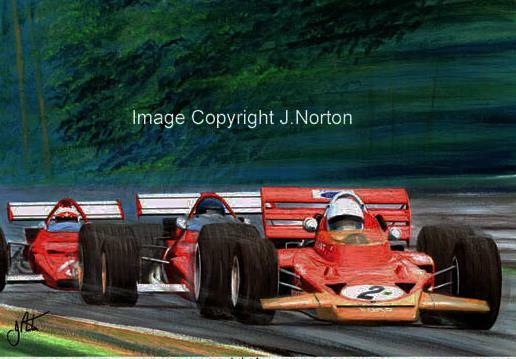 Pedro Rodriguez in the BRM P153 holds off a sustained attack from Chris Amon in the 1970 Belgian Grand Prix. The original painting is available at £185.00 + carriage. 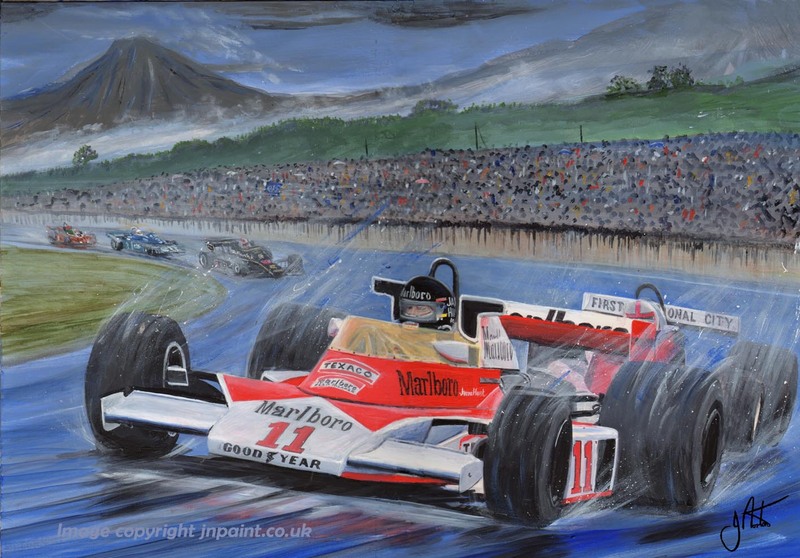 James Hunt leads the opening lap of the 1976 Japanese Grand Prix from Pole.